The TEAL/Studio Physics Project is an experimental approach to computer-based group instruction. The classroom becomes a multi-venue, hands-on learning environment, designed to enrich student experience and engagement in mandatory freshman physics and other courses. 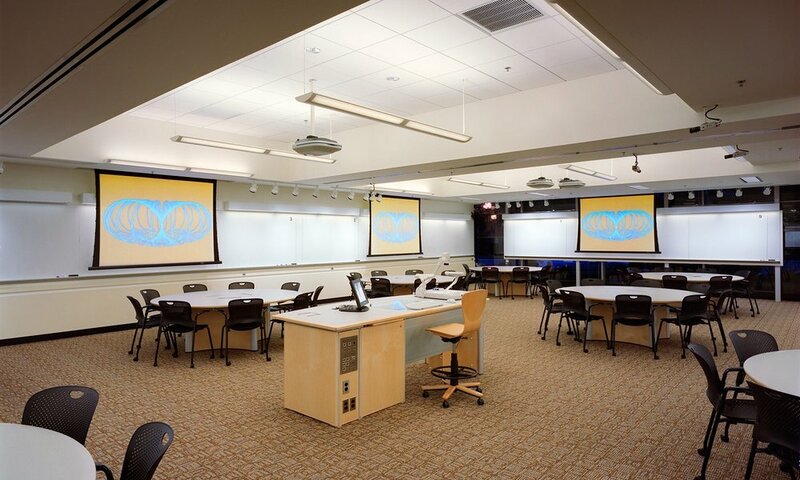 The MDS design serves as a model for interactive group teaching space, reintroduction of hands-on lab experiments in large introductory courses, and expands the potential use of classroom technology implemented under the MIT iCampus Initiative. TEAL — Technology Enabled Active Learning — is designed for teaching-in-the-round, with circular tables of nine students around three computers for hands-on group work. Twelve tables serve a seating capacity of 108. Multiple projectors display images on eight screens on all walls, projecting faculty and student work so all can see and participate. 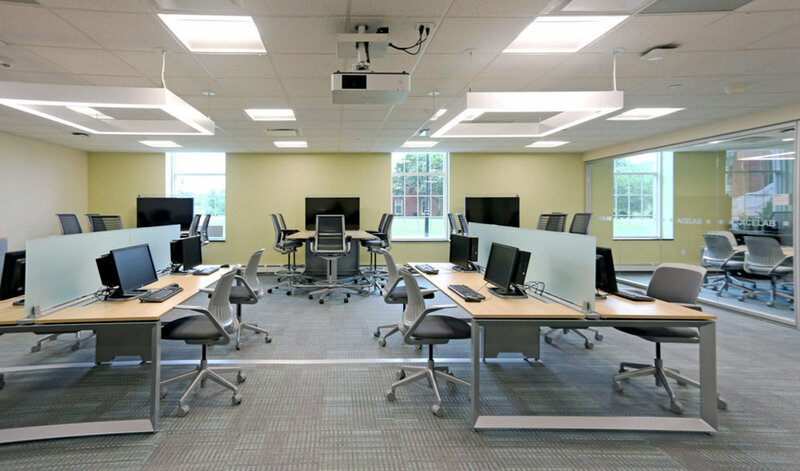 Whiteboards are installed on all walls, ceiling-mounted cameras cover the room perimeter, and laptop connections are at all faculty and student stations. Experiments at the central demonstration table are simultaneously projected to all participants. The faculty control all the technology and media by touchscreen panels with preset configurations at the central station.